Our Garden 12 has 2 large flowers and 10 medium sized flowers. 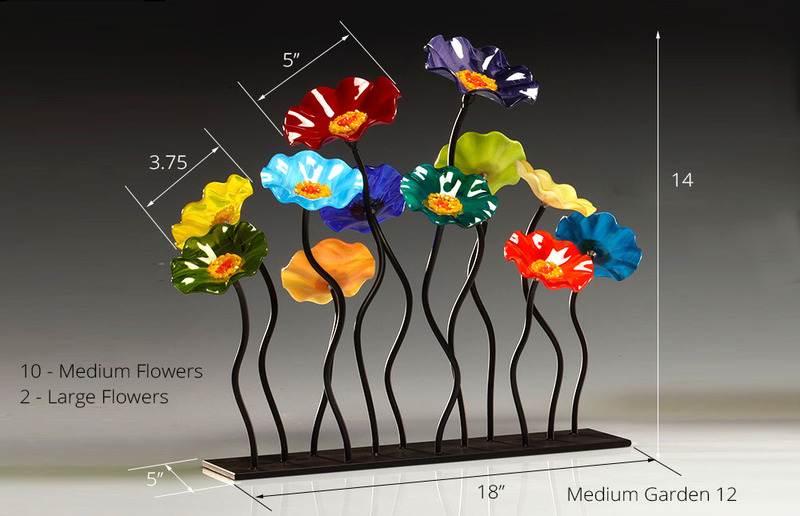 This piece is less dense than the garden 10 but makes a very good table centerpiece or mantel piece. 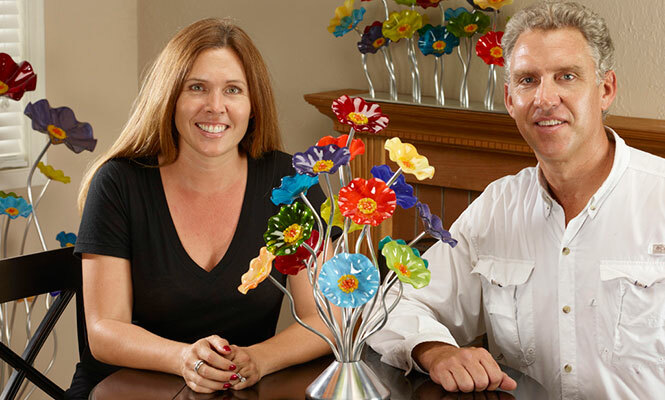 The stems are flexible and can be easily shaped once the removable flowers are attached. 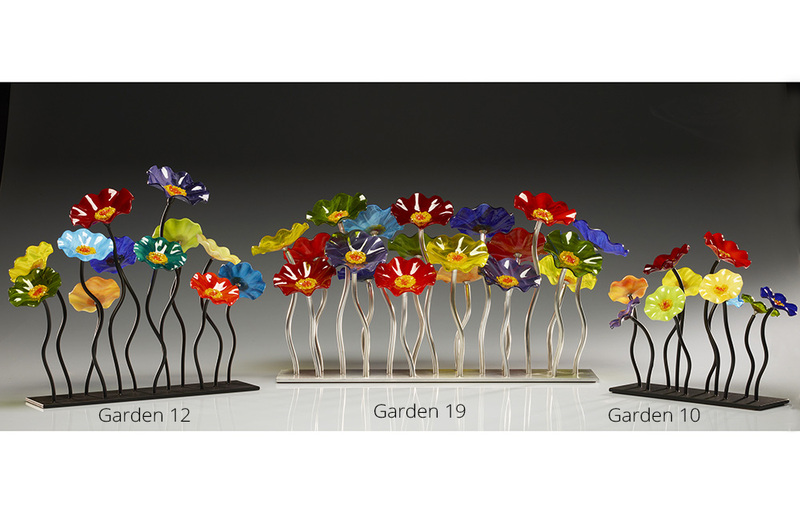 Choose your color combination below to display on your garden 12 table centerpiece of glass flowers.